I am BACK!! 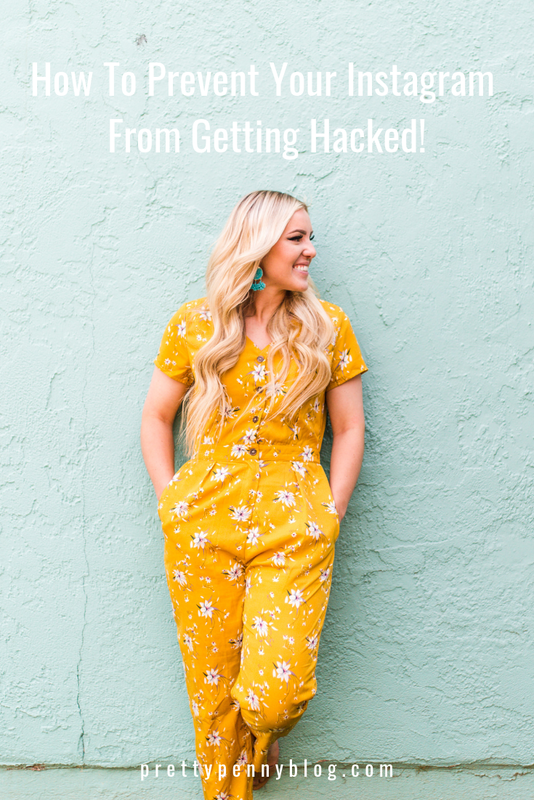 And what a way to come back than to start the year off by sharing my story of how my Instagram got hacked back in November. The end of November and the whole month of December were such crazy months! I got hacked a few days before Thanksgiving, and then I was super sick with the worst cold, for two weeks straight, right before Christmas. So I had no energy to do anything for awhile! 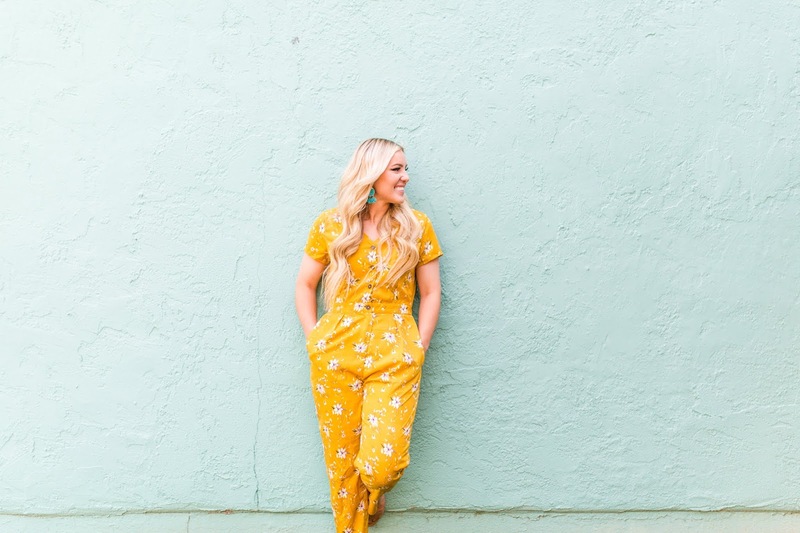 I am back with a renewed energy and am so excited to start posting again! Let me begin by telling you how I got hacked. At the time I was seeing my Instagram friends getting hacked left and right. It was happening so often that I almost always saw at least one person getting hacked a week. It is so sad to me that this is happening so often! Luckily I feel like it has died down since November, but it is so important to take the right precautions, because you never think it's going to happen to you. I thought it was a little funny, but I get a ton of emails very similar to this one all the time. I should have known right away because who sends you an email with the title "Instagram Cooperation"? So I responded with my rates and then clicked on the link. It directed me to Instagram and I SIGNED IN. Looking back I can't believe I did that, but at the time I wasn't thinking that someone was actively trying to hack me. This is how they gained access to my account and information. TIP: If you click on any sort of link through an email and it requires you to sign in to any social media platform, DON'T DO IT. I was SHOCKED, and hurt, and I had no idea what to do. I went to my Instagram app and was logged out. I couldn't log in and I couldn't even find my account when I searched for it. This is when I started to feel a sense of panic. I immediately told Colin and we tried searching every corner of the internet for information, tips and ways to contact Instagram. Colin went onto his Instagram and tried looking up my account. It popped up but this was all that could be found. After a few hours, it was completely gone. I never responded to the hackers emails because all they wanted was money. They asked for payment in exchange for my account. I have heard from other bloggers that have paid, that they never got their account back, even after paying. So I just didn't want to deal with that. Let me be 100% transparent with you. 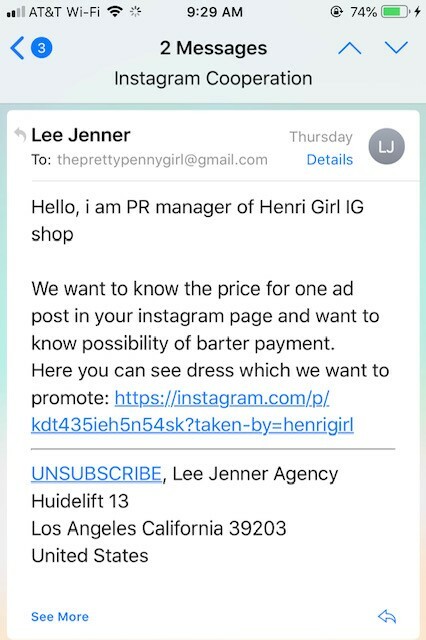 Instagram has the WORST customer service I have ever seen. I emailed them a million times, sent multiple requests through the app, and it finally took reaching out to Instagram through Facebook that I finally got a response. They said they needed some information from me to start the recovery process. After a few back and forth emails they told me that there was nothing they could do. At this point I was super frustrated and felt defeated. It was devastating to know that after 3-4 years of all this hard work it was essentially gone! 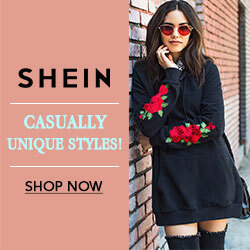 I decided to post onto Facebook and my "shoptheprettypenny" instagram to ask for help. It was through the power of social media that another blogger had gone through the exact same thing and referred me to Juan. He specializes in account security and account recovery. I was a little hesitant to reach out, but figured I didn't have anything else to loose at this point. He was super nice and very helpful! He helped calmed me down and seriously worked so hard to get my account back. He told me not to worry about what Instagram had said and he would still be able to get my account back. He totally knew exactly how to contact Instagram and what to say to get my account back. He had me go to the login page and select trouble logging in. You are suppose to enter the username of the account that was hacked, press "need more help", then it reroutes you to another page to give more information. He gave me specific instructions on how to respond. I don't know if Instagram only works with certain responses, but it worked! 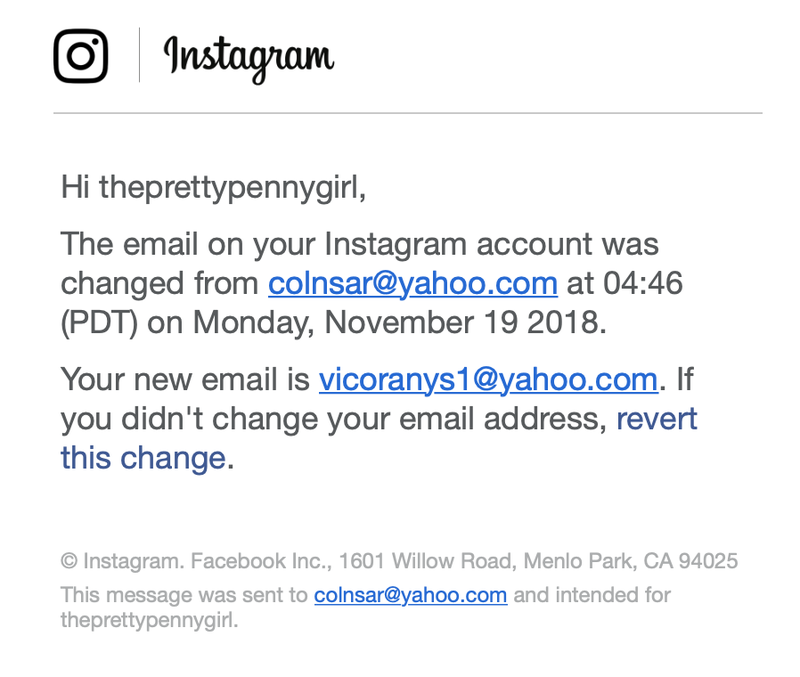 Here is the timeline: I got hacked on Monday, November 19th and contacted Juan the same day, after Instagram said they couldn't help. My account was hacked for 4 days before I finally got it back. During those 4 days I had to send photos of myself with a specific code written on a piece of paper to prove my identity to Instagram. Finally 4 days later, Thanksgiving morning, I woke up to an email from instagram saying "we've almost recovered your account. We just need you to reset your password." I was absolutely ecstatic!!! I honestly felt like it was a Thanksgiving miracle. I reset my password and was able to login. The account username was changed since my old account and username was deleted. 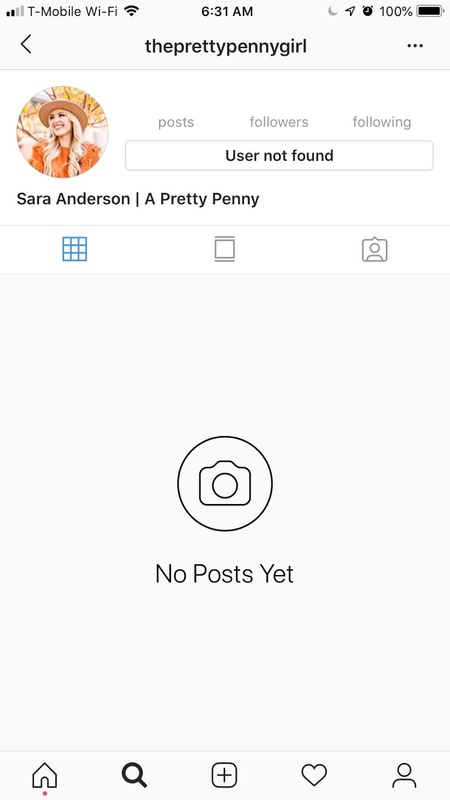 Since "theprettypennygirl" was deleted I had to change my username to something else. Luckily I changed it to something almost identical, "aprettypennygirl". After I got my account back, I immediately did something I should have done the moment I set up Instagram: set up 2 factor authentication! 1. Set up 2 factor authentication, and always keep in on. That way if someone is trying to login to your account they have to have a 6 digit code that is texted to you, to be able to login. 2. 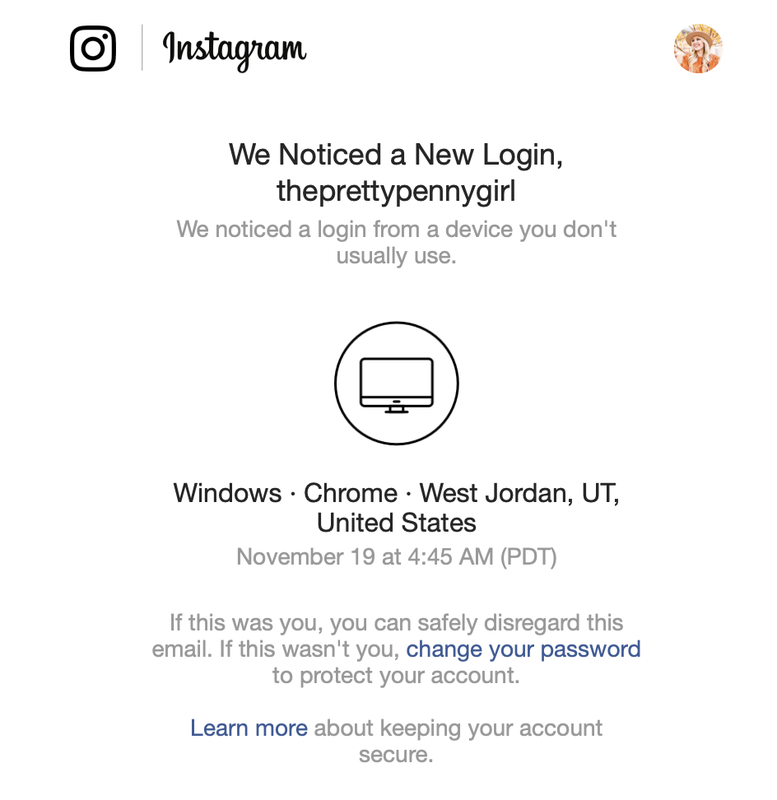 If you get any suspicious emails that take you to Instagram or anywhere else that requires you to login using your information, DON'T DO IT. 3. If you do get hacked, I would either try following these steps, or reach out on all social media platforms for help! Or contact Juan, because he was seriously a lifesaver. I would also be happy to answer any questions people have getting hacked! You can either message me on Instagram or send me an email with questions: theprettypennygirl@gmail.com.